After the Christmas and New Year period, we frequently have left-overs that need to be used up to avoid them going to the trash. Cheese is one of those ingredients that seem to fill the fridge over the festive period, but we are often too satisfied at the end of a celebratory meal to extend to the cheese course. 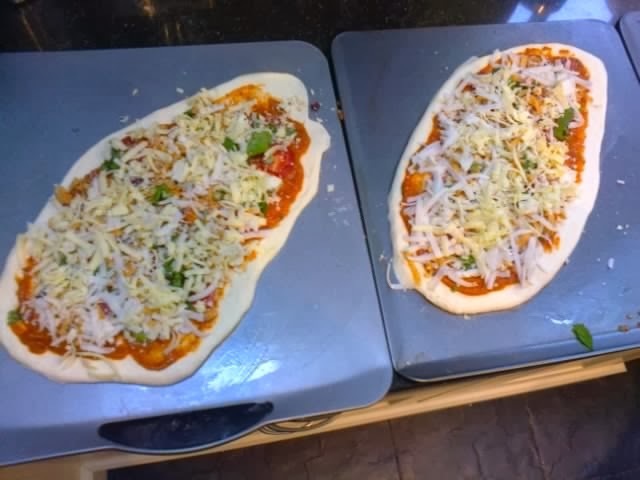 It was with the intention of using up left-over cheeses in all varieties that we opted for a pizza making session yesterday. The key to a good pizza is undoubtedly the flour. Strong flours are idea for making bread but the are not great for pizzas because they contain gluten and the dough is hard to roll out and will shrink back. Type 'OO' flour is very fine and made from soft wheat and doesn't have such elasticity, making it ideal for pizzas, pasta, biscuits and sauces. 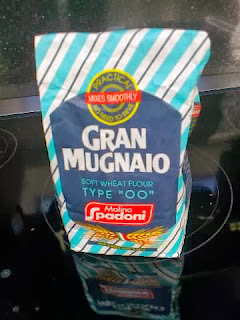 You can buy 'OO' flour at most large Sainsbury's stores and at Carluccio's deli. In a large bowl, mx the flour and 2tsp salt together and blend the yeast with a little water before adding. Pour in 2tbs olive oil, followed by the water and use your hands to mix the dough until you have a ball of dough. 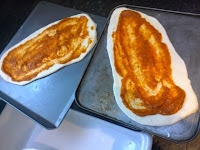 The dough should be soft and pliable and not too sticky, nor too hard. Tip the dough onto a floured surface and knead it by stretching, folding and turning it for 10 minutes until it is 'bounces back' to the touch. 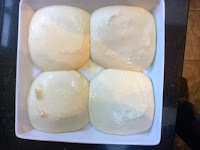 Gently wipe a thin layer of olive oil onto the surface of each ball and lay into a floured container, cover with cling film and leave to proof until the dough balls are doubled in size. Pre-heat the oven to its hottest - the nearer to 400'C the better. 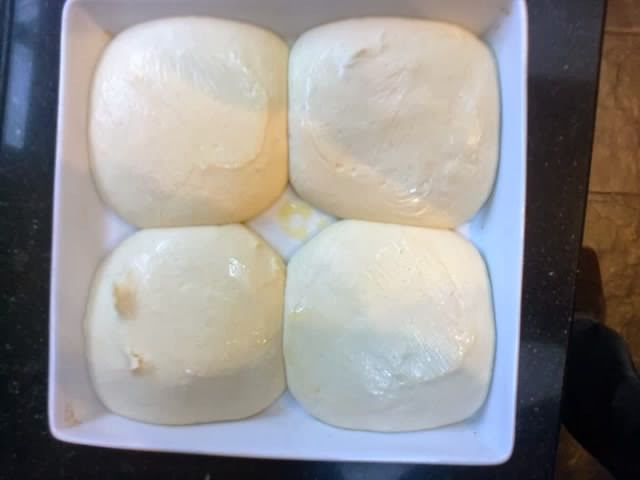 After the dough has proved, use your hands to stretch out the dough balls into a 25cm circle or for a more rustic look an oval, and at about 5mm thick. Use plenty of flour to prevent it sticking . 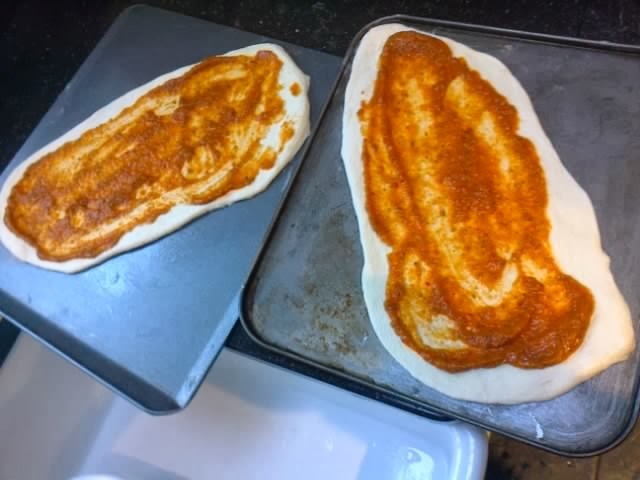 Top with the tomato sauce, leaving 2cm all around. 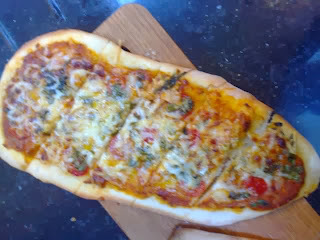 Shunt the pizza quickly into the oven. 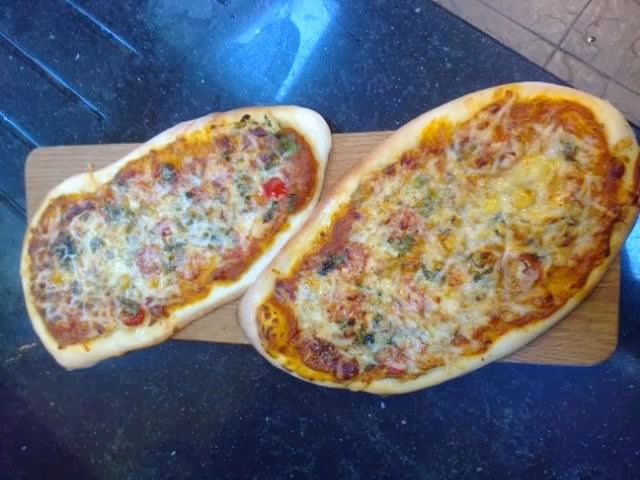 The pizza should be ready after about 8 minutes - it is best to slightly overcook than undercook you pizza to avoid a doughy base. Remove from the oven and leave for 2 minutes before slicing and eating. I hope that you enjoy this simple pizza recipe and will try a range of toppings in the future - peppers, anchovies, sausage, olives, ham, or prosciutto. Once cooked, the pizzas an be frozen for future use. Allow them to defrost thoroughly before re-heating the pizzas in a very hot oven for 5 to 7 minutes.